"Indiana Jones" shows his commitment to real archaeology. After years of being identified on screen as the legendary archaeologist "Indiana Jones," actor Harrison Ford has won election to the Board of Directors of the Archaeological Institute of America. With his Indiana Jones and the Kingdom of the Crystal Skull set to hit U.S. movie theaters on May 22, the film star commented on his real world dedication to archaeology, "Knowledge is power, and understanding the past can only help us in dealing with the present and the future." The Archaeological Institute of America is North America's oldest and largest non-profit organization devoted to archaeology. With more nearly a quarter of a million members and subscribers and 105 local chapters, it promotes archaeological excavation, research, education, and preservation on a global basis. At the core of its mission is the belief that an understanding of the past enhances our shared sense of humanity and enriches our existence. As archaeological finds are a non-renewable resource, the AIA's work benefits not only the current generation, but also those yet to come in the future. 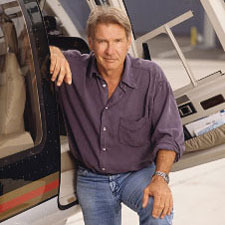 "Harrison Ford has played a significant role in stimulating the public's interest in archaeological exploration," said Brian Rose, President of the AIA. "We are all delighted that he has agreed to join the AIA's Governing Board." 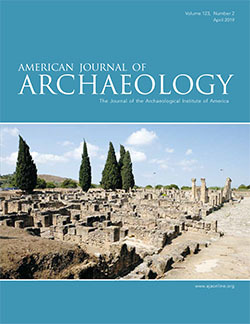 In addition, the current May/June issue of ARCHAEOLOGY magazine, published by the AIA, features a cover story devoted to the mysteries surrounding the alleged crystal skull archaeological finds that inspired the new "Indiana Jones" film. For the complete article, go to www.archaeology.org. The AIA was delighted to honor Harrison Ford with the inaugural Bandelier Award for raising public awareness of archaeology through his on-screen work in the Indiana Jones film series. In 1880, Adolf Bandelier was sent by the Archaeological Institute of America to study prehistoric sites in the Southwest. At Los Alamos, northwest of Santa Fe, Bandelier investigated Tyuonyi pueblo, Long House, and other sites. These were preserved in a National Monument established in 1916 and named after Bandelier. Visitors to the National Monument can experience the wonder of seeing archaeological sites first hand, much as viewers of Harrison Ford's Indiana Jones movies experience the excitement of exploring lost civilizations. We invite you to watch Harrison Ford's award video and acceptance speech below.